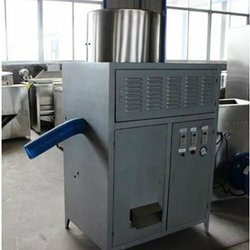 Our range of products include onion peeling machine, 280-400kg garlic peeling machine, dry garlic peeling machine, garlic peeler, garlic peeling machine and semi automatic onion peeling machine. Use specially designed principle to peel, in the process, no need blade or hard friction. So can ensure the whole shape, fresh and no pollution. 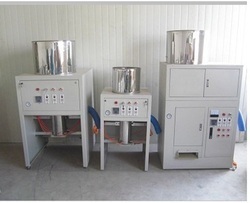 It is practical, power saving, small volume, high efficiency, low failure rate, maintenance, and cleaning is very easy. 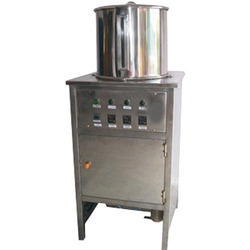 This machine adopts pneumatic principle; it will not damage the garlic after peeling the skin. And it can peel the garlic skin completely in a dry way, so there is no need to put the garlic in the water before peeling. The peeling rate could up to 95%. This machine uses compressed air as the motive power source, Produced a strong wind at the round near the natural peeling onion. 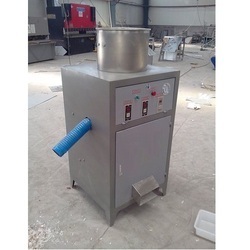 This machine comprises two parts, the dry feeding trough has the hot blast to circulate the function, and even in the humid climate would also have to be dry onion skin state. Peeling of the air compressor used as the driving force and energy saving. Apply to the market, food plants, onion, and other industries use occasions. Equipped with automatic temperature control and automatic conducting device, onion and its skin automatically separated, meet the health standards, no damage to an onion, it can be stored for several days advantages. We are offering Garlic Bulb Breaker to our client. 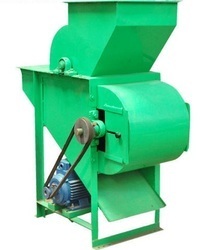 We are offering 180-280 Kg Garlic Peeling Machine. Looking for Onion and Garlic Production Line ?